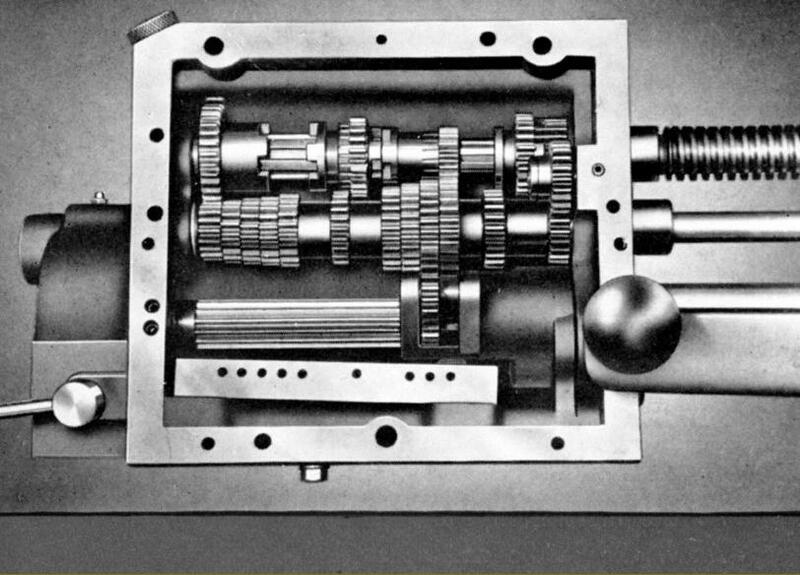 Early Chipmasters had a drive to the Matrix clutch by three V-belts and to the screwcutting and feeds gearbox by both gear and V belt. In this publicity picture the V-belt drive from variator to Matrix clutch has been air-brushed out. 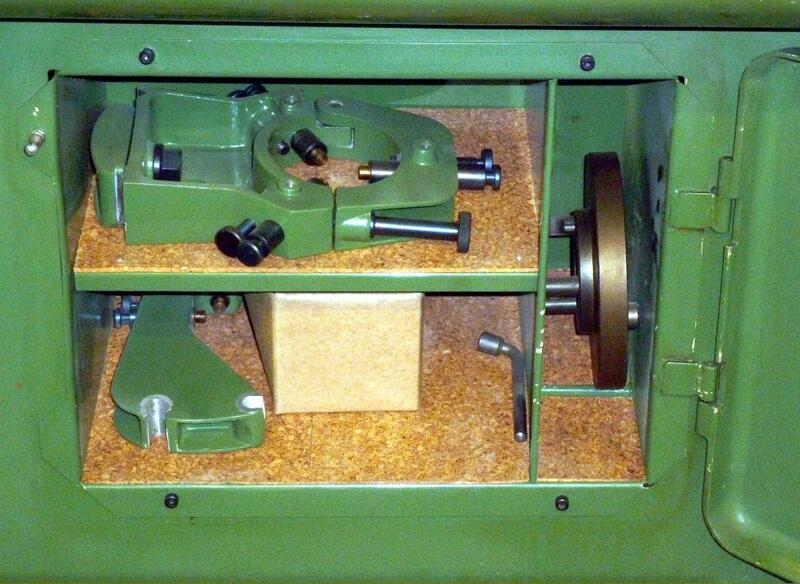 Chipmaster Screwcutting Gearbox. 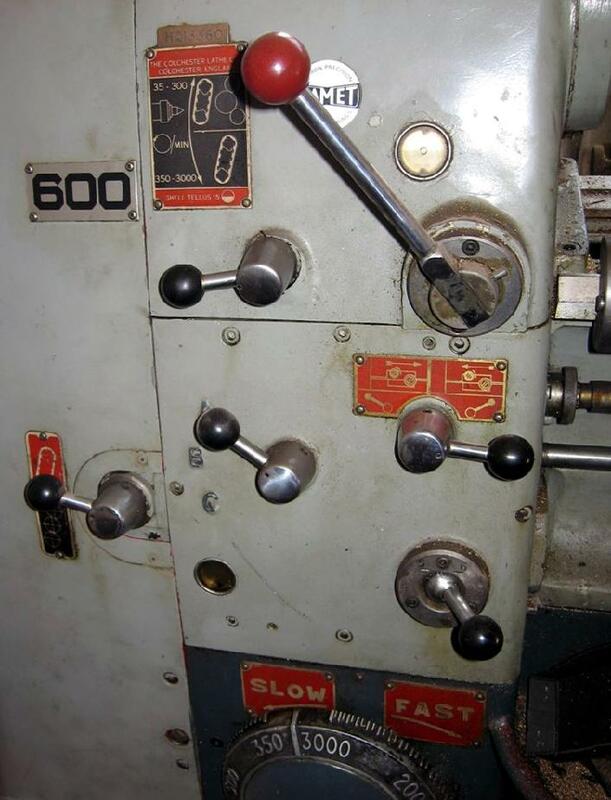 Lathes with English threading used a different gearbox to those fitted with Metric screwcutting (below); the English box can be recognised by its sliding lever control (as above) the metric box was the same unit as used on the Bantam and had a joy-stick selector (see below). 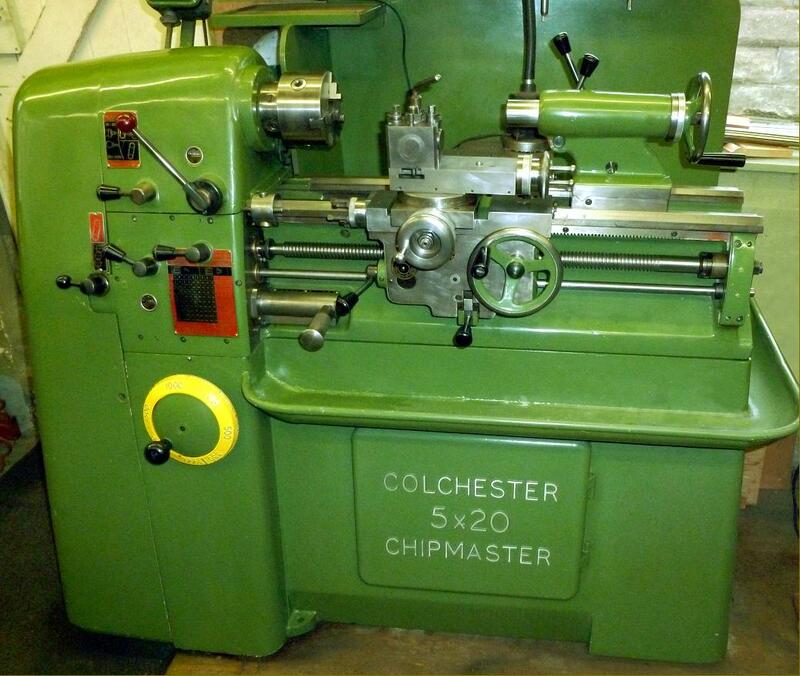 Some "all-metric" Chipmaster lathes carried the identification "Continental". 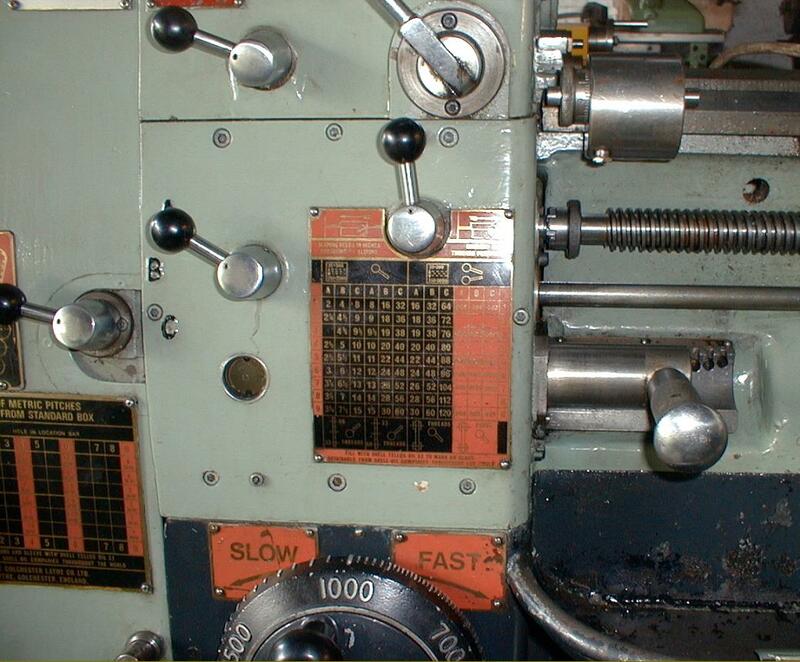 Both the English and metric gearbox could generate, with appropriate translation changewheels, the other type of thread. 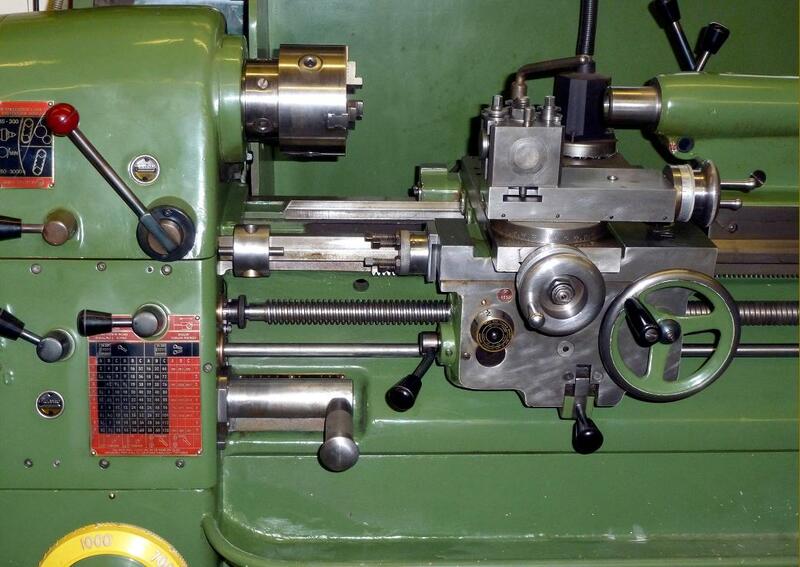 The 15/16" (35 mm) bore headstock spindle ran in Gamet "micro-precision" taper roller bearings (made by anther company in the Colchester group) with the lower part of the speed range obtained through hardened and ground gears. 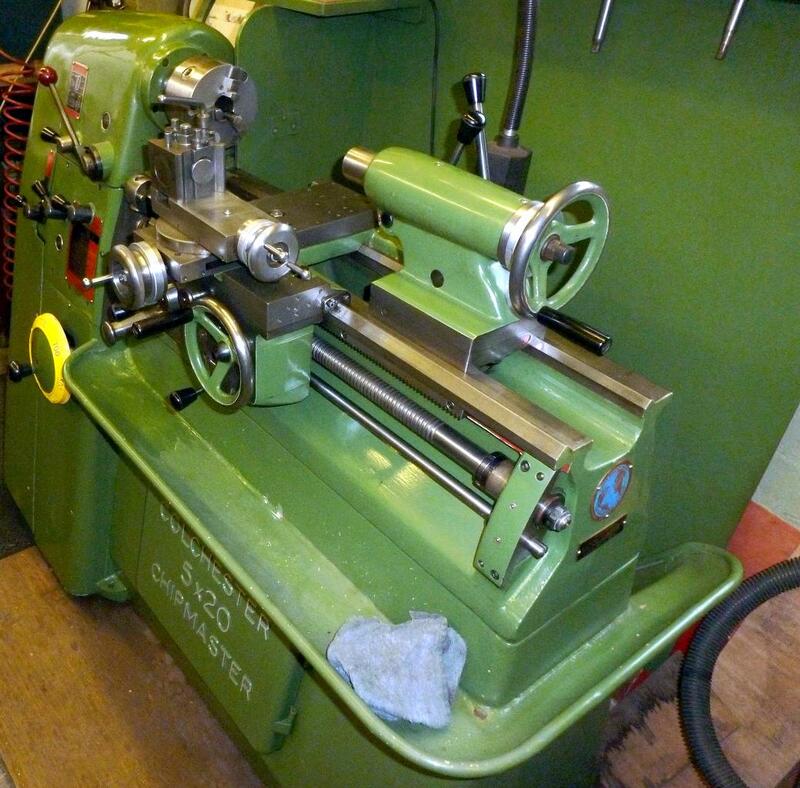 Because the high-speed range was direct by belt, and the comparatively short and rigid spindle so well supported, the lathe had a reputation for being able to produce unusually smooth surface finishes. 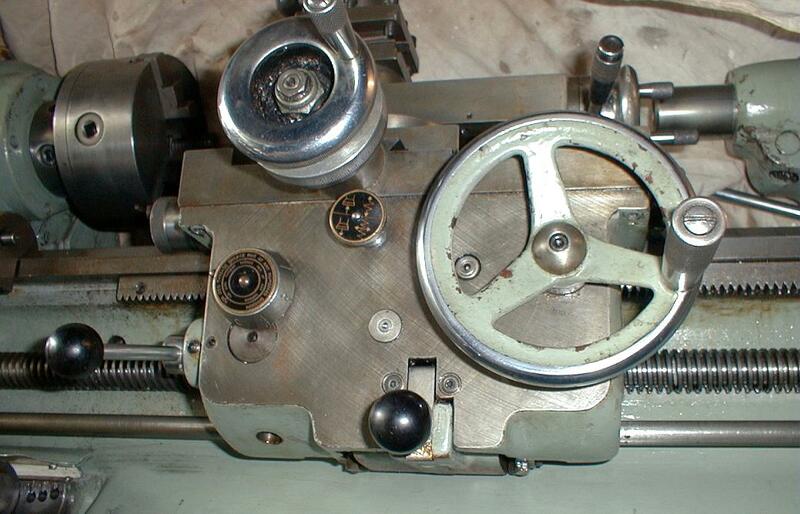 An American-type D1-3" Camlock nose fitting was used that allowed the lathe spindle to be safely reversed at high speed. 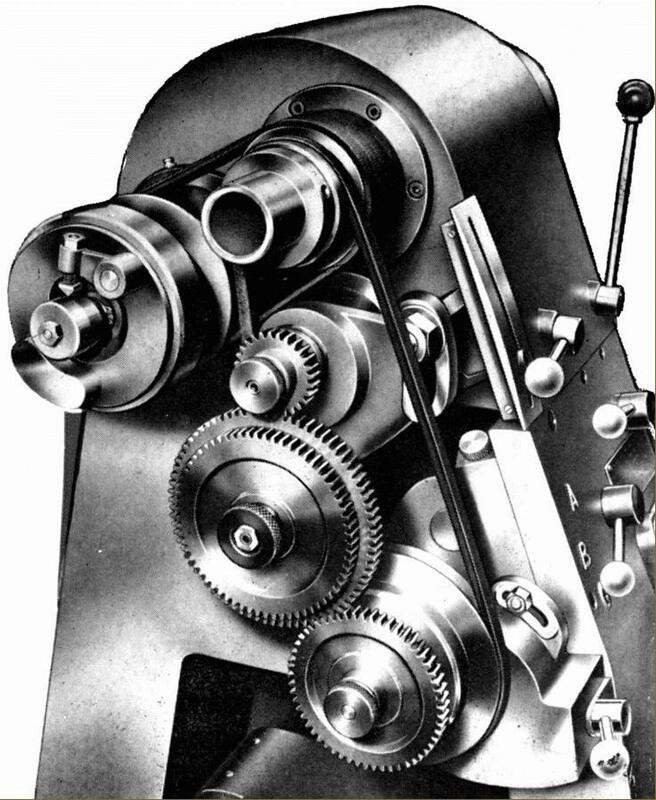 Note the toothed pulley, fitted to a spline on the pulley and used to drive the spindle directly on the high speed range.